Bali is known as the Island of the Gods, and with swirling colors, breathaking landscapes, rich ethnicities and tradition certainly lives up to its name. Bali present incredible scenery , also has several beaches that feature natural wave barriers, which make for calm seas apt for this activity. Beyond stunning beaches and magical temples, Bali has almost every kind of pure beauties. Glorious mountainous areas with lush greenery, picturesque lakes, stunning waterfalls, famous rice fields, flower landscapes, gushing sacred rivers and secret canyons all make up the island’s panorama. Is an island southeast of Indonesia’s island Bali and a district of Klungkung Regency that includes the neighbouring small island of Nusa Lembongan. It’s an island of spectacular natural rugged beauty. As well this is where the beaches are and where the seaweed farms are, with a huge variety of tropical fish and corals, snorkelling in Nusa Penida is a must do activity. More than two hundred and fifty species of fish have been recorded during the recent survey by our marine biologist. 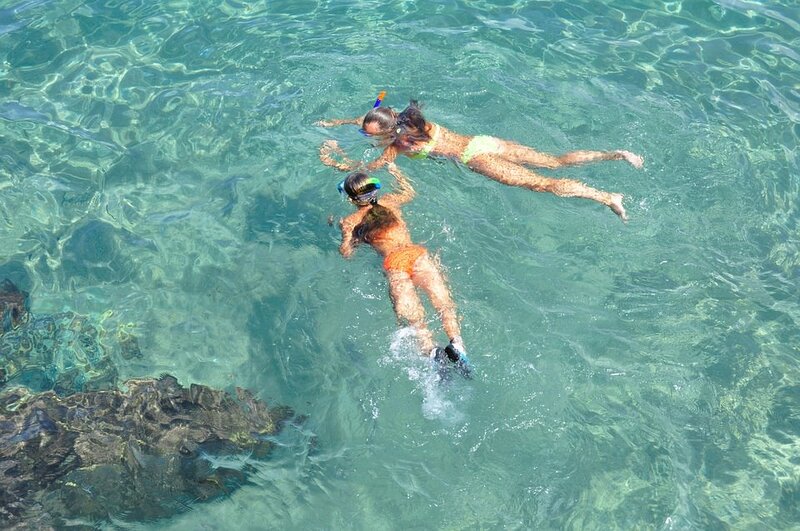 This can be a favorite spot for most people and new snorkelers that have desire to do snorkeling in Bali. Best to visit Padang Bai Blue Lagoon each day as usually, the sea gets tough in the afternoon causing unsafe conditions. Many varieties of clownfish and anemone fish, whitetip reef fishes, green turtle, rich macro life and great coral reefs. “Menjangan” in Indonesian means “Deer”. The name was given by the local populace observing wild deer herds swimming to the island every spring, the location to explore covers a wide area between the beach and the deep sea about 150 to 200 yards apart. Coming from the beach, you will cross a few dozens of sandy sea bed and rock, then sea bed covered with soft coral as significantly as the reef drop-off. Several types of angelfish, including sixbar angelfish and royal angelfish are very easy to see include parrotfish, butterflyfish, and hawkesbill turtle. Found in a protected bay between Nusa Lembongan and Nusa Penida, the water is magnificent cleary for snorkelling. At Crystal Bay you will notice shoal of anthias and batfish which comes around periodically. A bat cave can be found nearby. Plenteous fish life and stunning corals will made this dive memorable. Is a small fishing village situated on the northest coast of Bali. Tulamben offers unique underwater scenery from the surface: The USAT Liberty ship wreck. The ship has been sunken for more than 40 years making it a number one scuba diving and snorkeling destination in Bali it can be seen easily from the surafce, The wreck is fully grown with all kinds of anemones angel fish, turtles, jack fishes, and other many fishes are live surround the wreck as their home. The reason why desolate and quite place is so you can enjoy the snorkeling without being disturbed by people around and farthest from pollution or waste made by irresponsible people. How do we know how often tourists come to the place? By asking the villagers, surfing the internet to know the information about the place that you want to visit. Or using tour guide to find out more about the place. Saving time while on vacation is very important. when you are going to snorkel make sure you have plenty of time to enjoy the underwater beauty. make sure the distance between the place you are snorkeling and a place to stay close, specify a snorkeling place that is close together but has good quality so that you are not in a hurry and can enjoy the beauty. There is something inherently powerful and spiritual about sunsets, and we can benefit from incorporating such experiences into a regular ritual.People around the world are drawn to sunsets, but a few special places have really embraced the sunset as a daily opportunity to give thanks. Gorgeous terraced landscape definitely needs to be on everyone’s pretty places to visit list you’ll get a magnificent view of the rice terraces sloping across the valley, with the water in the irrigation fields glistening in the sunlight. The palace was the official residence of the royal family of Ubud. this palace is the perfect setting for traditional Balinese dances, no wonder it’s become a highlights for such evening performances. If you’re arts lover, you’ll want to be here to view this palace in all its nostalgic splendour.